Let's explore Kauai. 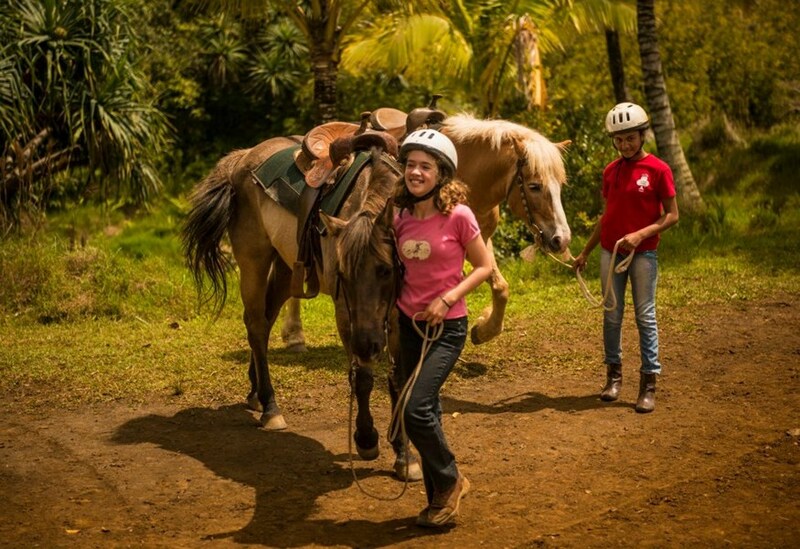 This ride, which includes a picnic and the opportunity to swim at Silver Falls, is for the explorer in you. 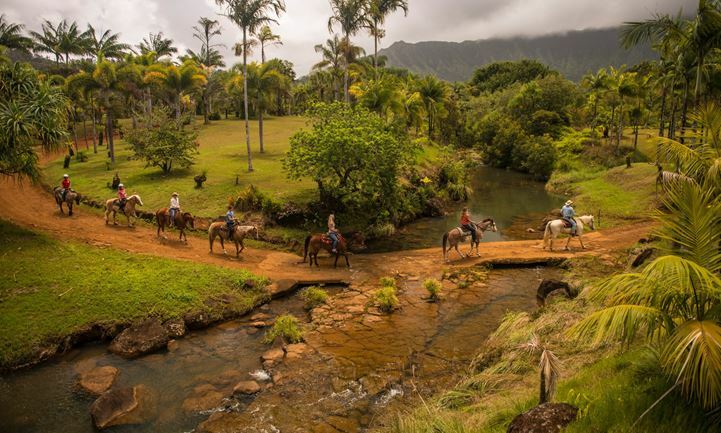 It's an excursion that takes you deep into Kauai's interior—on hidden trails through an ancient volcanic caldera to the base of Mount Makaleha. 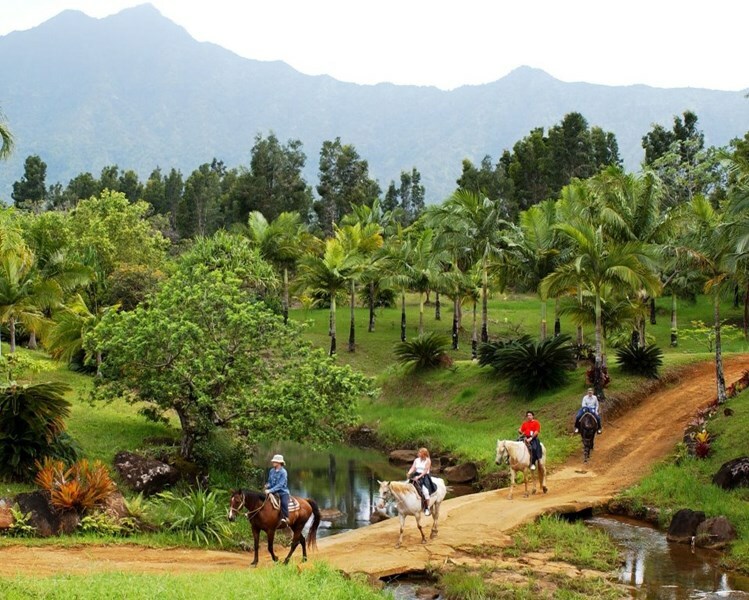 This stunningly scenic ride meanders through exotic natural growth and a variety of indigenous ferns, while wild orchids decorate the way. Take a moment to study and enjoy their magical beauty - these are memories that will last forever. 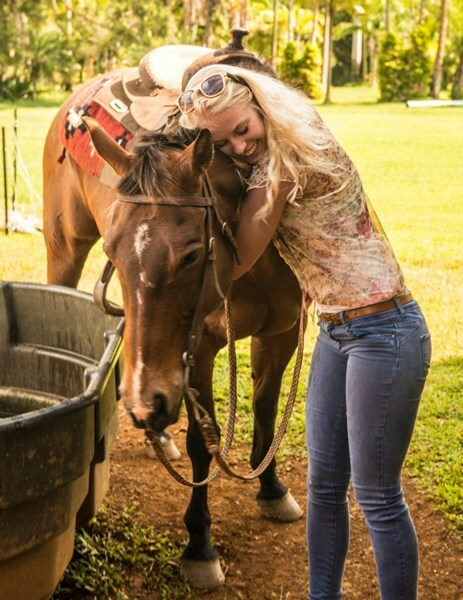 After a great ride, don't forget to tip your guide and give your faithful mount a kiss goodbye. They'll both appreciate it. 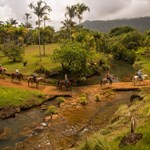 Silver Falls Ranch riding trails are the most lush and beautiful on the island. 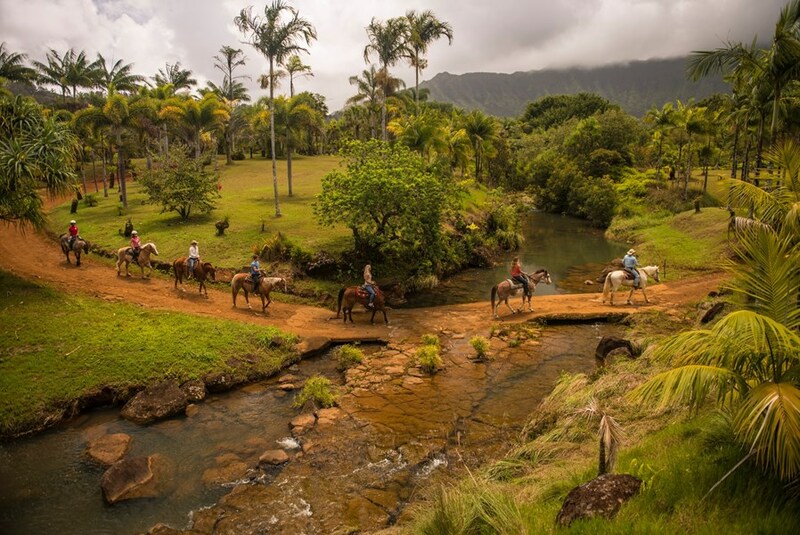 All rides begin with a riding orientation and safety briefing, then your small group, riding at a comfortable walking pace will explore this 300 acre private estate in Kalihiwai's lush interior valley. Tours pass through an eighty-acre tropical garden where over 150 different species of palm trees thrive. Wind your way along the peaceful Pohakuhonu stream lined with ferns and hibiscus blossoms, or the rushing Pookaele stream that feeds our featured waterfall pool. 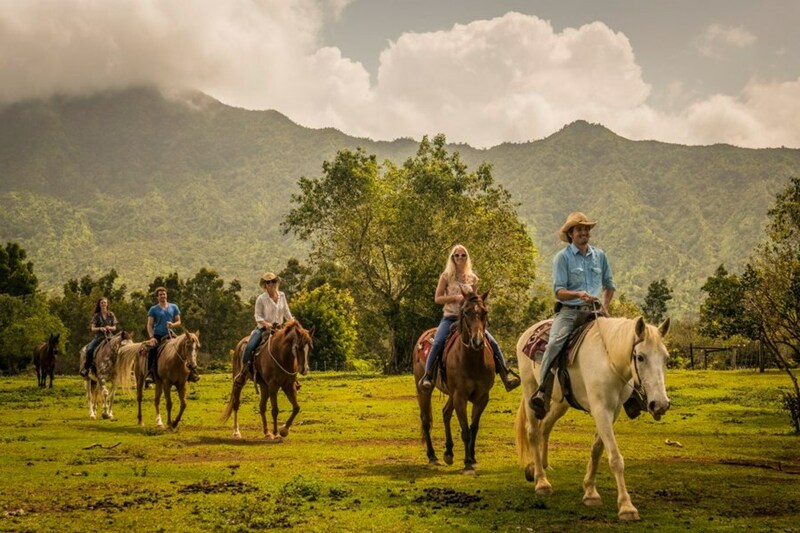 The ranch presents a multitude of unusual flora including wild orchids. Strawberry and blueberry guavas await sampling when in season. 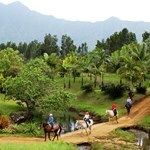 Breathtaking up-close views of the 2,800 foot Makaleha mountain range and its secluded high valley will astonish you. 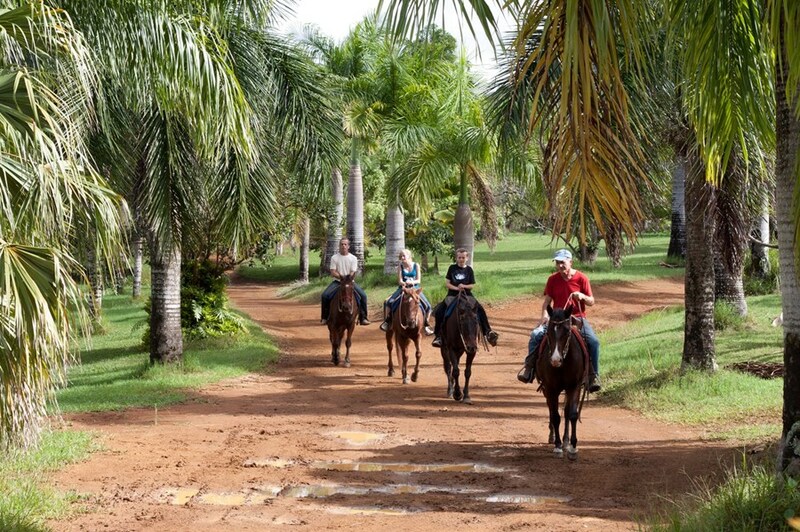 All rides through this magnificent environment leave you with indelible memories of a unique tropical experience. Daily 9:00 AM 3 hours See map below for approximate check in location. Directions will be included in your confirmation email & can be seen by clicking the "book it" button. Maximum weight is 300lbs for Horseback rides. Tours are conducted rain or shine. Long pants are recommended, closed toed shoes are required. Silver Falls Ranch reserves the right to refuse service. Silver Falls Ranch is not responsible for items lost or stolen. All disabilities or health conditions must be disclosed prior to booking. we took the 3 hour trail ride and it was amazing! 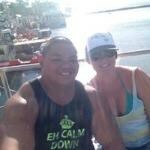 we were on a tour with two other people who happened to be local just like us! greg was awesome! he was engaging and really concerned with the safety of our group. since there were different experience levels he was able to help all of us even when mine and my wives horses got a little worked up. 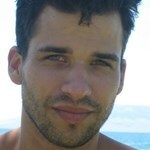 he is knowledgeable and has a great energy. we were ... moreworried about the rain as we were driving up but it cleared up nicely for our ride. much was delicious and the waterfall is nice. it was raining a lot before we got there so you could tell the current was strong and the water was dirty. no swimming for us. overall the ride was awesome! we would go again! also this is probably the only ranch in the whole state where you can be over 250 lbs to ride! I ride only once every year or two. 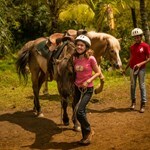 The Tropical Trails Adventure tour was really beautiful, our guide was friendly, and the horses were well-behaved. Only 6 people in our group, which was perfect. 3 of us jumped into the falls; the winter-time fresh water was "invigorating", but we warmed up fast as soon as we got out of the water. There are many feral peacocks on the property, and they are gorgeous. The great experience was definitely due to our guide as well. She told us about the private 300-acres as we rode through, but she also enjoyed talking with all the guests to find out what else they may be interested in learning. If you want to really take off & ride- they offer it. 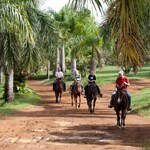 Me, not being experienced with horses, loved that the horses are trail-trained, walk at a leisurely pace. My husband and I really got lucky with this one. We took the 3 hour ride option that includes lunch and swimming at the waterfall. The weather was beautiful, sunny with a breeze, and the ranch is gorgeous to walk round on horseback. Greg was our guide and kept us entertained the whole time by educating us on local culture and history. He was clearly very well informed on a wide range of topics. My ... morehorse was poco who was very laid back and clearly knew what to do most of the time without much instruction from me beyond 'stop eating the salad'. My husband's horse had the same temperament and temptations. There weren't any others booked onto our ride so we got a private ride without explicitly asking for one which I liked too! Wear sunscreen and insect repellant, you'll need it for the waterfall. 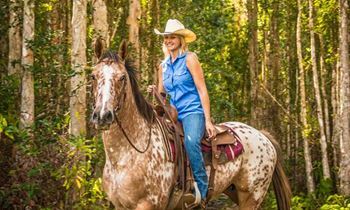 Another practical thing - the ranch uses western style saddles which my husband tells me are far more comfortable for men than British style saddles are.